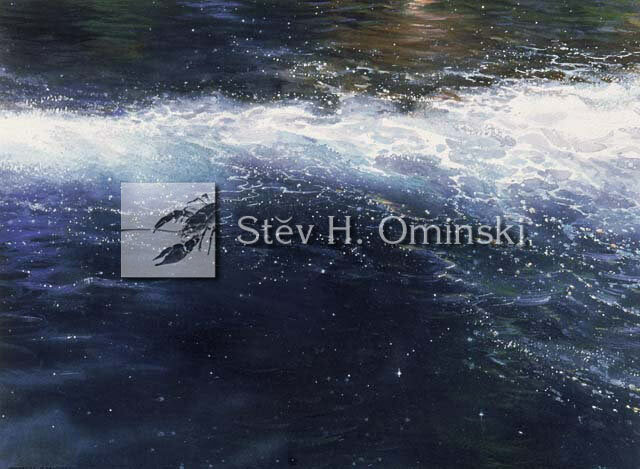 Over the course of the last twenty plus years I’ve painted and added to a group of works I call my (never ending) water series, a kind of personal journey or study of experiences in and around the living waters of the Pacific Northwest. 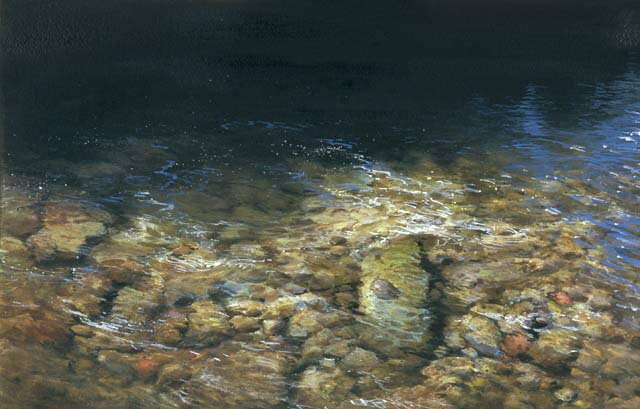 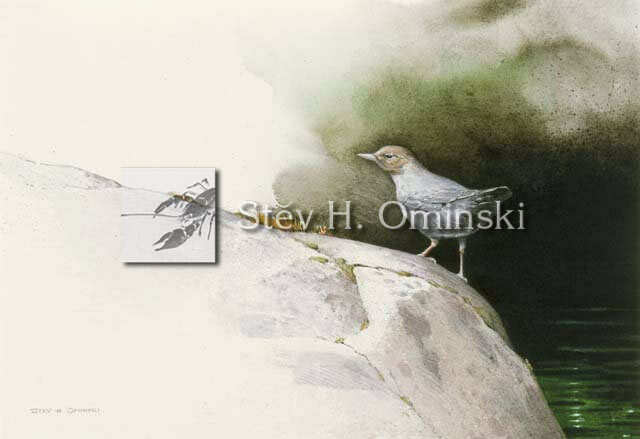 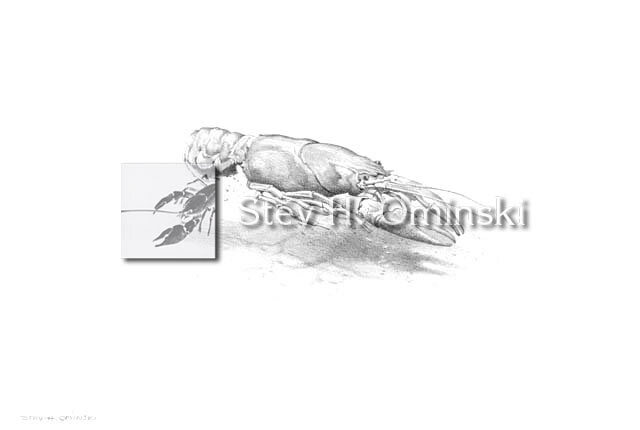 These works range from large scale, finished compositions, of pools and sections of rivers and streams, to small studies of the plants, animals, fish, and insects found within riparian boundaries. The paintings and drawings of my water series gather on the walls of my studio and in my portfolios and drawers. 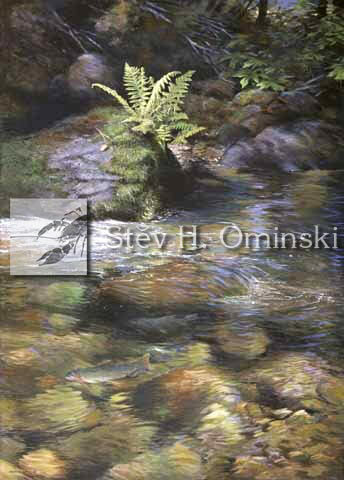 They are done purely out of the inspiration of the moment to satisfy a curious mind, fueled by hikes and fishing trips and a childhood of family camping. 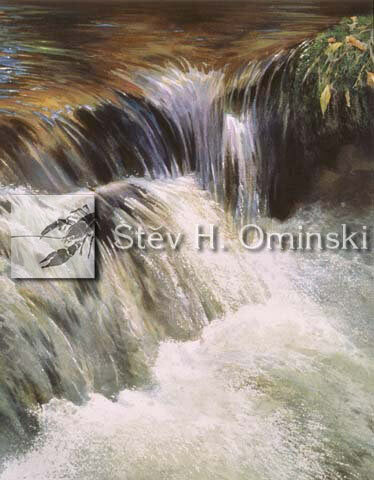 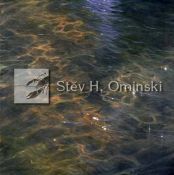 In fact, artistically, water seems to have sneaked into nearly all my works over the years of my career - there always appears to be a river or stream or piece of lake in the majority of my compositions. 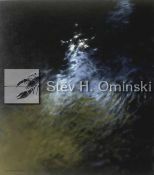 "Under The Blanket of Stars"
A piece of the Breitenbush River from the Water Series. 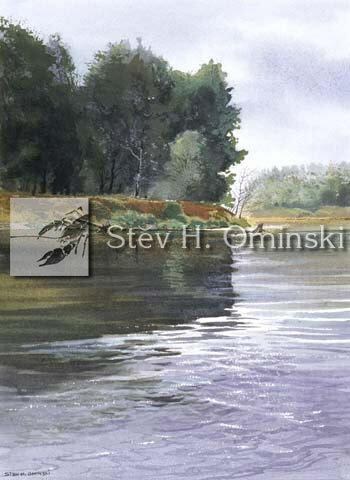 Size: 14 " x 10"